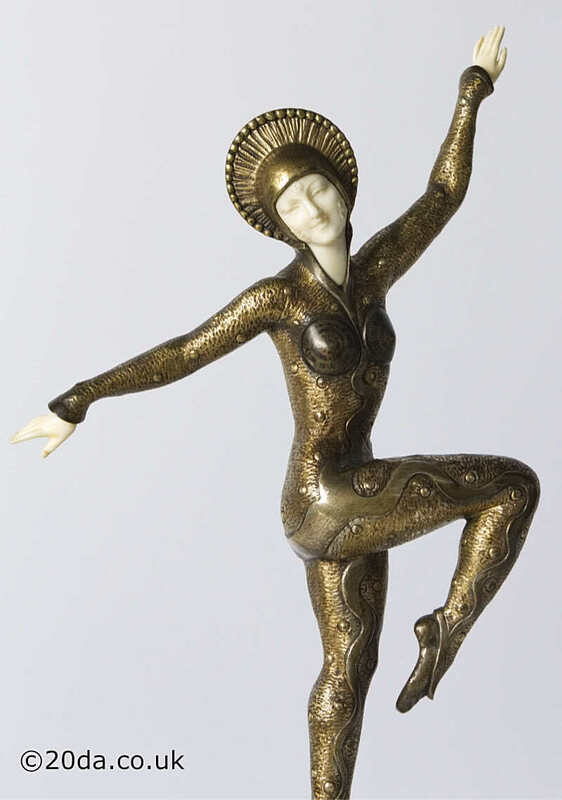 H Molins- An Art Deco Bronze and ivory (chryselephantine) statue, France c1925, "Paris", the patinated and gilded bronze mounted on an elaborate marble base. 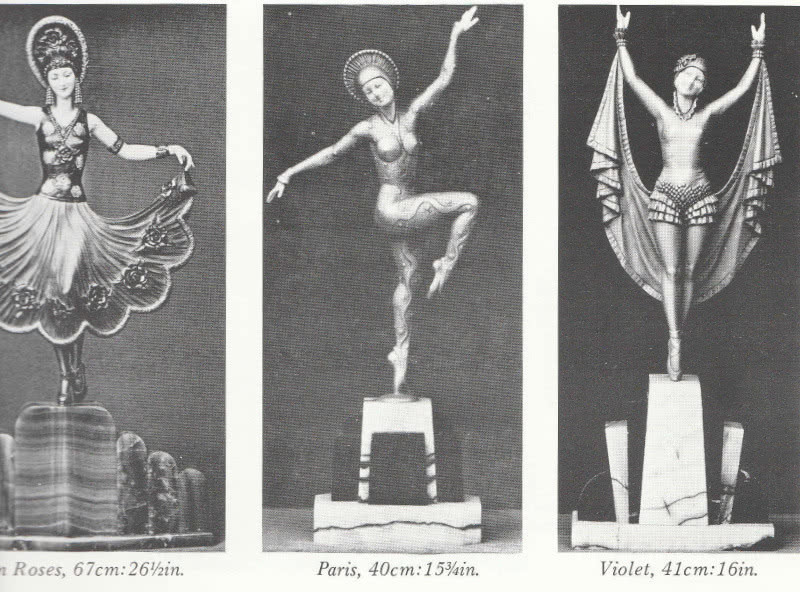 This is a rare sculpture depicting a Parisian revue dancer with the photo above from Bryan Catley's Art Deco and Other Figures showing an original 1920s photo and I haven't seen another example for sale recently (the last I can find being Christie's in 1995). This one has restoration to three digits on her left hand. Enrique Molins-Balleste Born in Barcelona and worked out of Paris. 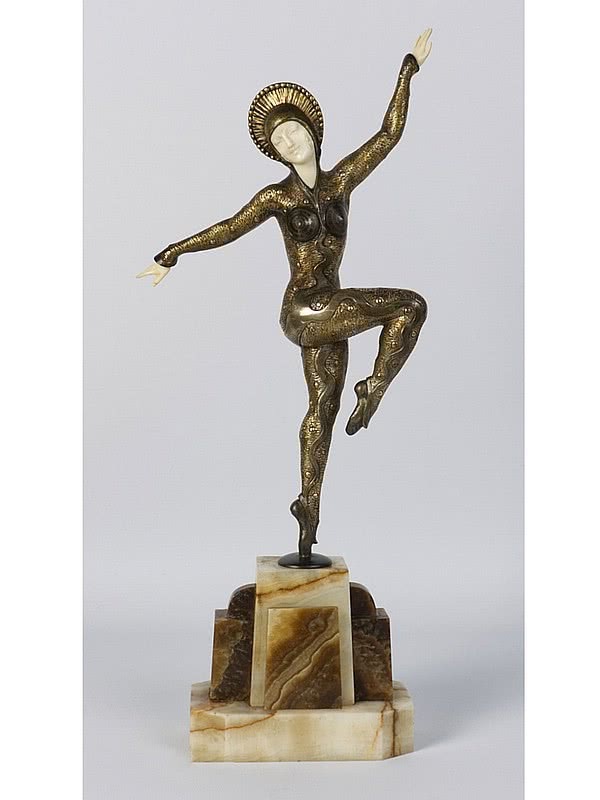 Famous for his theatrical and genre groups and figurative lighting, his sculptures can be found in spelter, bronze and bronze / ivory. 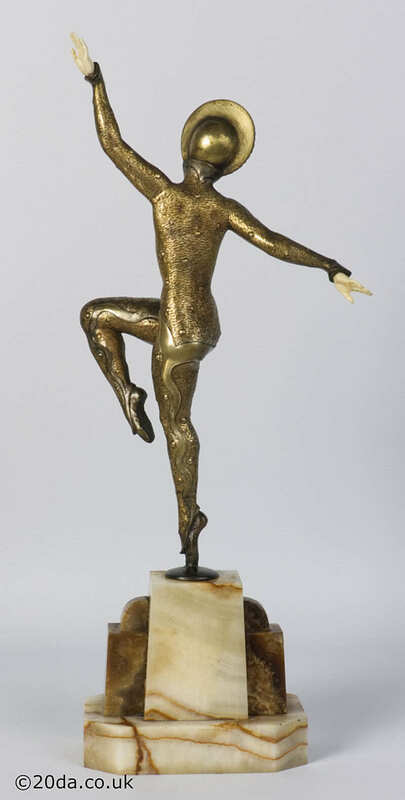 At his best, as in this case, his work equals those by Demetre Chiparus.